Every day, new businesses get off the ground in this country. All companies, regardless of size, should have a business plan in place before opening their doors. Small business start up consulting firms help new entrepreneurs create business plans designed for success. Many business owners find it challenging to create a business plan because stakeholders look for different things when evaluating this document. 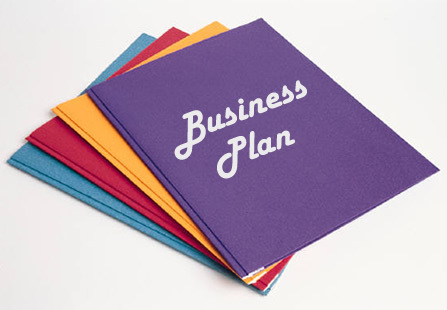 To be applicable to most parties, a business plan should address several areas. Coming up with a good business idea usually requires assessing the competition. A business plan should include this competitive analysis and identify the competitive advantage held by the company in relation to others offering similar or identical products or services. It should reveal patents, copyrights, trademarks, and other intellectual property of direct competitors and explain how the new business will avoid infringing on these. A business must be part of a growth market and commit to growing. The business plan should include an overview of market conditions and detail the plan for corporate growth. It should explain how the market will be entered and how quick growth will be accommodated from a financial standpoint. Though staffing may not be an immediate concern, growth may make it necessary and so this should be covered in the business plan. By establishing roles that will be required when the business reaches maturity, the entrepreneur thinks about what strengths staffers should possess. Becoming an entrepreneur involves many sacrifices including living on limited income during the initial years. A business plan should include an explanation of pricing, explaining why customers will be willing to pay the designated amount. Reasonable justification should be made that this will provide enough for the entrepreneur to live on and grow the company as planned. Success will never come if the business does not offer an innovative product or service. The business plan should explain whether the offering represents a new slant on an existing item or something new. If the idea is novel, the business plan should explain how it will be protected from competitors that exist and that may come about in the future. Perhaps most importantly, the business plan should be as realistic as possible. Some small business start up consulting firms recommend that entrepreneurs take a conservative approach when it comes to expectations. Though the business idea can be lofty and revolutionary, the plan supporting it should contain reasonable annual assumptions.